DINK, starring (left to right) David Keeley, Jasmine Chen, Lise Cormier, and Andrea Brown, is the most ambitious and controversial play at this year’s Next Stage Theatre Festival. Photo by Guntar Kravis. 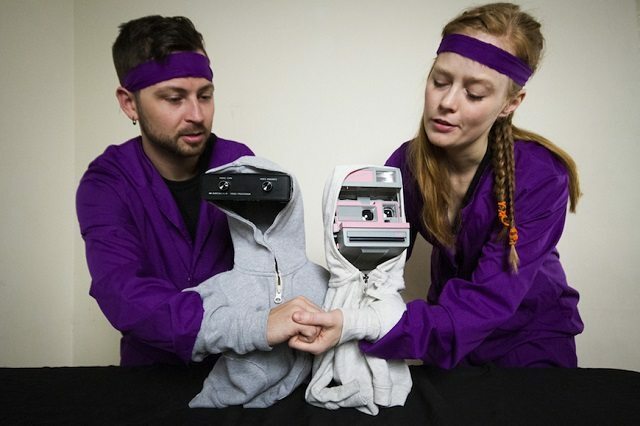 The Next Stage Theatre Festival, the Toronto Fringe’s annual winter showcase of promising work by Fringe artists, is in full swing at Factory Theatre through January 18. During last week’s extreme cold, the intrepid theatre critics of Torontoist donned their parkas and mukluks and ventured forth to the wilds of Bathurst and Adelaide streets to check out all the hot (and occasionally not-so-hot) productions on offer. Consult the Toronto Fringe website for performance times and tickets. Jon Lachlan Stewart in Big Shot. Photo courtesy of the Toronto Fringe. In his one-man show Big Shot, Edmonton actor-playwright Jon Lachlan Stewart may remind you of the young and dangerous Daniel MacIvor, who gave us such spine-tingling solos as Monster and Cul-de-sac. Stewart even bears a physical resemblance to the younger MacIvor—he’s wiry and sharp-featured, with a glint of craziness in his eye. In this dark, irony-laden comedy, Stewart replays a tragic shooting on the Vancouver SkyTrain from the perspectives of a cop, a recovering heroin addict, an elderly Japanese pickpocket, a wannabe movie mogul, and a lonely kid obsessed with action flicks. Then there’s the boy’s unhappy mother, who hides in a closet, chain smoking. Stewart’s scenario of unexpected consequences could have been swiped from an Iñárritu film and, indeed, it evolves into a commentary on how cinema infects our experience of reality. More artful than substantial, Big Shot only grazes the surface of that theme, but Stewart’s cranked-up, chameleonic performance—abetted by Georgina Beaty’s noir-ish staging and some moody film-themed projections by Matthew Schuurman—makes for an exciting train ride. If Stewart wants to be the next MacIvor, his writing will need to dig deeper, but he’s off to a running start. David Keeley and Sharon Heldt in DINK. Photo by Guntar Kravis. That phrase applies to a lot of aspects of DINK. It’s not quite the story of notorious ex-colonel Russell Williams, who murdered two women and stalked, stole from, and sexually assaulted many more. Most of the details of Williams’s crimes remain intact, but playwright Caroline Azar has taken creative liberties when it comes to the other players, creating a relationship between the chief investigator (a worldweary and unassuming Kris Siddiqi, who seems to be in a different show) and a teenage waitress (Lise Cormier) that strains credulity. It’s also not quite a musical, with jarring and slightly off-key musical numbers performed between scenes by the ghosts of the two murder victims, now linked as lovers. The show might have worked better as a full musical—as it is, it’s neither an effective musical, nor a genuinely unsettling play. It also seems a shame that David Keeley, who’s excellent as the manic type-A protagonist, doesn’t get to put his formidable pipes to good use. The cast of For a Good Time, Call Kathy Blanchard. Photo courtesy of the Toronto Fringe. Though the popular saying insists that one can never go home again, Michael Ross Albert’s new play For a Good Time, Call Kathy Blanchard features a cast of characters that do so anyway—even though that home is under renovation—and refuse to leave because of various personal crises related to love, family, and career. Lawrence (Daniel Pagett) avoids seeing his mother in the hospital by plotting out a new life plan, which he explains to his cousin Mary (Jennifer Dzialoszynski), who’s trading in her usual busybody tendencies by squatting in her aunt’s home in sweats, watching Game Four of the Stanley Cup finals. Sky (Geoffrey Pounsett), married to Lawrence’s sister, also finds himself relegated to the house, while Lawrence’s new girlfriend Amanda (Caroline Toal) makes the angsty trio an uneasy and anxious quartet. Although this situation provides the foundation for an interesting dark comedy about family tension (or what Mary describes as “sad people looking after other sad people”), Albert’s script never really hits home, so to speak. The setup feels very familiar: characters stuck together will at first hint at their secrets, before revealing them to the audience at the climax of the play; scenes will involve exits and entrances, and finish with a one-liner; the characters are mired in nostalgia but will reluctantly learn to be proactive in the present in order to bring about a happy ending. (Though in this play, the female characters are inexplicably left behind while the men make progress.) Albert’s humour and Jim Warren’s direction only rarely lets the audience see the people behind the cynicism and the bickering, ultimately creating a rather monotone experience. Comedian and storyteller Graham Clark. Photo courtesy of the Toronto Fringe. 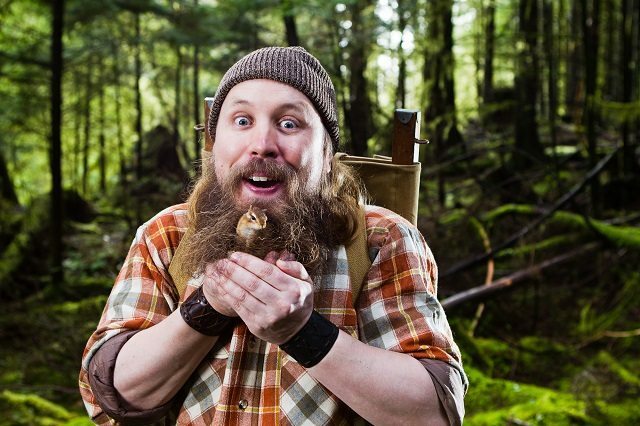 After Vancouver comedian Graham Clark made his summer Fringe debut, a reviewer said he could make even the phone book seem funny—and that comment became the inspiration for a new half-hour show. Clark spends his time in the intimate Antechamber space regaling the audience with fun facts about the telephone directory (spoiler: there aren’t many), the story of his surprisingly arduous efforts to acquire this antiquated resource, and quirky observations about the companies still spending ad dollars on it. With only a hunk of recycling-bin fodder to help him, Clark’s easygoing humour sends him sailing through his time. And while some of the jokes were rough on opening night, the longer he works the show, the stronger it will be. So our hopes are high for Clark’s later performances, as he continues to get blood from a stone by mining funny from the phone book. Jenna Harris (left) and Michelle Polak in Mine. Photo courtesy of the Toronto Fringe. You can tell the tale of a relationship backwards, as Harold Pinter did with Betrayal, or you can tell it both backwards and forwards at the same time, as Jason Robert Brown did in his musical The Last Five Years. Or you can just serve it up in non-chronological bits and pieces, as actor-playwright Jenna Harris does in her fitfully interesting romantic drama Mine. Harris has written a potentially compelling account of a lesbian love affair, but hobbled it with a confusing fragmentary structure that keeps us from getting caught up in the story. Harris plays Beatrice, an endearingly flustered psych student who falls for Abigail (Michelle Polak), the cool, confident English major assistant-teaching an elective poetry course. As their relationship progresses, Bea gains self-assurance, but Abby, plagued with family issues and a stalled writing career, becomes moody and surly. 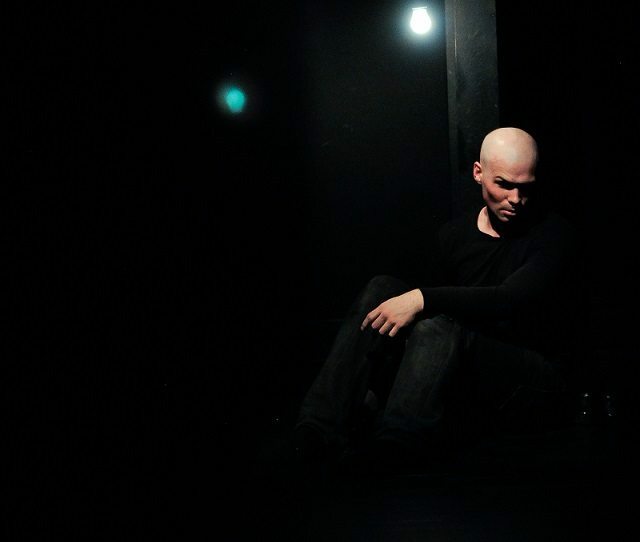 The play toggles uncertainly between scenes of seduction, role-play, and heated quarrels, with director Clinton Walker making liberal use of smash cuts to emphasize the contrasts. At its best, Harris’s writing conveys both the attractions and the perils of mismatched personalities. But it’s hard to get involved with her characters when we’re never sure where we are in the relationship’s arc. And while they make a game stab at it, Polak and Harris never convince us of Abby and Bea’s passionate feelings for each other. Clearly there’s something wrong when the steamiest moments in this play are those in which the Chilean poet Pablo Neruda’s “Love Sonnet XI” is recited. Myth of the Ostrich stars, left to right, Astrid Van Wieren, Alanis Peart, and Renée Hackett. Photo courtesy of the Toronto Fringe. Probably the most uproariously funny of this year’s Next Stage offerings, Matt Murray’s Myth of the Ostrich unfolds in the living room of Holly (Astrid Van Wieren), a liberal-minded single mother and self-help writer who receives a visit from the straitlaced Pam (Alanis Peart). Pam wants to discuss a letter she’s found that suggests their two 15-year-old children are dating. The relationship isn’t news to Holly, who welcomes teenage experimentation in the safe environment of her home, but it’s offensive to the very religious Pam and her lawyer husband Dan. Murray uses a few clever tricks to make what could be an awkward and very short exchange into a full-length play: Holly is desperately trying to put off writing her second book; Pam is looking for some company in her day; and Holly’s best friend Cheryl (Renée Hackett), a foul-mouthed Newfie and the main source of the play’s humour, turns up. There’s some sharp writing on display as these three very different women approach one another with as much difficulty as they approach motherhood (or, in Cheryl’s case, her strained relationship with her own mother), and director Steven Gallagher makes sure every remark hits home. The only thing this show really needs is some tightening, as a good chunk of the middle resorts to semi-adolescent pot jokes that do nothing to further the story. As a whole, however, this play is a touching reminder that no matter what the books, articles, or experts may say is the “right” way to live your life, everyone is just winging it all the time. Mary Francis Moore, left, and Virgilia Griffith star in Piece by Piece. Photo courtesy of the Toronto Fringe. Terrence Bryant was outstanding as acid-tongued author Gore Vidal in Edmund White’s Terre Haute at SummerWorks a few seasons ago. He’s outstanding again this year at Next Stage in Alison Lawrence’s Piece by Piece—although this time he has a much less articulate role to play. Bryant is quietly superb as Frank, a once-brilliant professor whose brain is now hopelessly enveloped in the fog of Alzheimer’s, leaving him to behave like a bewildered child. He’s just one of six sharply etched characters whose lives intersect at a hospital in this wise and moving play about grief. Frank is brought to the facility for a day program by his devoted but exhausted wife Barbara (Linda Goranson). He’s being treated by geriatric psychiatrist John (John Cleland), whose wife Jessie (Mary Francis Moore), a hospital volunteer, is struggling with her own mental instability after a tragic string of miscarriages. Jessie ends up bonding with Steffie (Virgilia Griffith), an angry teenager still hanging out in the intensive care unit well after her mother’s death, partly to grieve and partly to escape home life with her devastated father (Brian Young), who is drinking himself into oblivion. 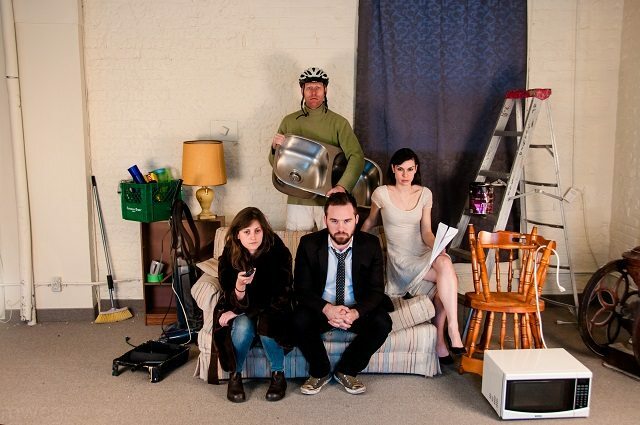 Playwright Lawrence, best known as a co-creator (with Moore and Annabel Fitzsimmons) of the hit break-up comedy Bittergirl, is dedicated to writing strong roles for women. Piece by Piece is no exception. Although Frank is poignant in his distress, it’s Steffie, Jessie, and Barbara who drive the play as they help one another deal with agonizing loss. Director David Ferry, not one to shy away from raw emotions, draws some powerful performances from his fine cast. And his staging makes canny use of the jigsaw-puzzle conceit suggested by the title: the play begins in tiny pieces, each one barely illuminated by Stephan Droege’s meagre lighting, which gradually expands as the scenes get longer and the women’s stories mesh together. The cast of Jasmyn Fyffe Dance’s Pulse. Photo by Jamie Johnston. Every year, it seems as if the dance show at Next Stage is the one that surprises us the most. Jasmyn Fyffe was a dancer in last year‘s Jack Your Body, which took audiences through a timeline of American music from 1960s soul to the present day. In Pulse, a show from her own company, Fyffe and her charismatic young troupe are firmly rooted in the Motown period, performing to recognizable standards by Smokey Robinson, James Brown, Gladys Knight, and more. Choreography sometimes seems to have been created first and then paired with some suitable music—but not so here. Every aspect of the performance is rooted in the songs. 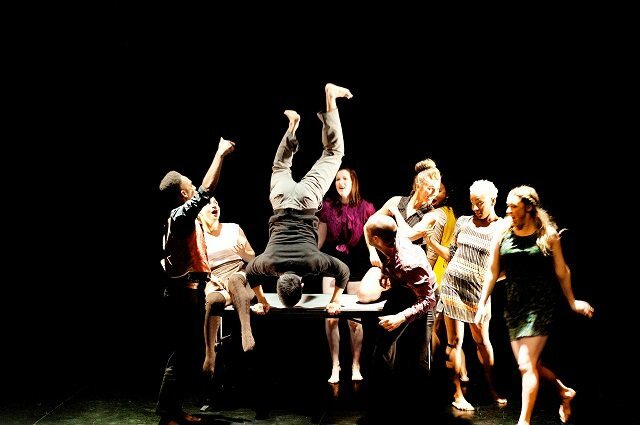 The show is especially suited to a theatre festival because technique, which the dancers here have in spades, is secondary to the artistic juxtaposition of modern dance moves with the emotionally evocative music. The show flows smoothly from one piece to the next, punctuated by some exceptional solo pieces. We took plenty of notes on individual pieces, such as a swaggering one by the three men in the company, but they’re largely unreadable, as we couldn’t pull our eyes away from the stage to look at the notepad. The show ends with the audience encouraged to stand up and clap—but the company didn’t need to plan it that way. We suspect they’d have gotten a standing ovation just the same. Andrew G. Young and Ingrid Hansen in Snack Music. Photo by Laura Dittmann. To answer the most pressing question first: there’s no false advertising in this show’s title. When you enter the Antechamber, you’ll find a snack buffet, including clever cereal skewers and homemade cookies. You’ll also encounter live music, which, like the structure of the show, involves audience participation and some elements of improv. SNAFU’s Ingrid Hansen opens the performance by explaining that the loneliness of big-city Toronto is different from the experience of being alone in the wilds of her native British Columbia, and that the cure for urban disconnectedness is a sense of community, even a temporary one—the kind created, say, when you bring an audience of strangers together to get to know one another (and share snacks). Snack Music creates its comfortable community through storytelling, puppetry with found objects, and the aforementioned music. The experience is humorous, entertaining, and one we’d like to see SNAFU and director Ginette Mohr develop in an expanded format. Briana Templeton, left, and Gwynne Phillips in Unbridled & Unstable. Photo courtesy of the Toronto Fringe. Following their site-specific Grey Gardens-inspired hit at this summer’s Fringe, An Evening in July, Briana Templeton and Gwynne Phillips are back with a larger arsenal of characters. As the Templeton Philharmonic, the pair specializes in sending up a variety of feminine characters—women in old radio dramas (represented here in a hilarious sketch involving a sound-effects tutorial), celebrated romance authors, modern-day spokespeople who use salad to solve very serious personal problems—eternally on the brink of a breakdown. 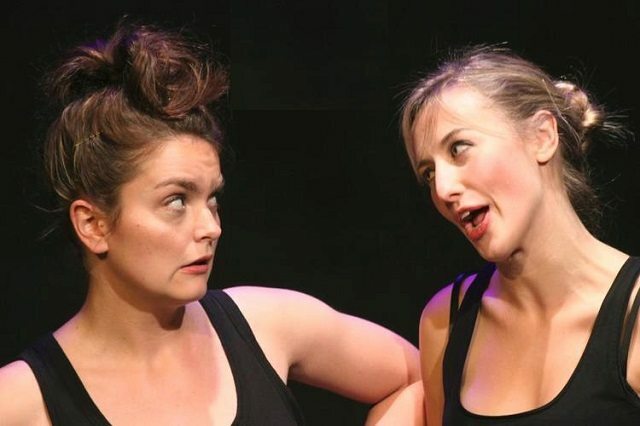 Templeton and Philips are becoming a force in Toronto comedy thanks to their funny, feminist, and frankly dark point of view, and this production showcases a solid array of solo and duo sketches (they’re strongest when they join forces). While it could use some tightening and stronger thematic connections between scenes, Unbridled & Unstable proves that the Templeton Philharmonic are not one-trick ponies.